Synopsis: Jay Gatsby is the man who has everything. But one thing will always be out of his reach. Everybody who is anybody is seen at his glittering parties. Day and night his Long Island mansion buzzes with bright young things drinking, dancing, and debating his mysterious character. For Gatsby—young, handsome, and fabulously rich—always seems alone in the crowd, watching and waiting, though no one knows what for. Beneath the shimmering surface of his life he is hiding a secret: a silent longing that can never be fulfilled. And soon this destructive obsession will force his world to unravel. The first book I read of Fitzgerald was The Curious Case of Benjamin Button. What I noticed about that book, was that the writing was so easy to understand for a classic. The Great Gatsby didn’t change that for me, and that’s why I’m starting to love the books of F. Scott. Fitzgerald. They are great classics to read for beginners, with an easy writing style and a story that’s very understandable. The characters were written as very distinct characters, so I could have a good image of them individually. Jay Gatsby came over to me as a person with a big curtain of wealth and fame with parties hanging in front of him, like a wall of smoke. He looked like a man who smiled, while he didn’t feel like smiling. He made me feel sad, because in the end no one was interested in him personally. On the other side the woman he basically did everything for, Daisy Buchanan, kind of annoyed me. The way she made Gatsby take the blame for the accident and didn’t come clean herself about it made me angry. Anyway, It’s also an ultimate act of love from Gatsby’s side. I really liked how all the characters fell in place at the end. Every character was connected eventually. How George Wilson gets eye to eye with Gatsby in the end for example. With Gatsby connected to Daisy, Daisy to Tom, and Tom to Myrtle Wilson, everything connects. What also helped, was that the group of characters was small. In this way I didn’t get confused fast with the characters. Everyone was very distinct. One reason why I loved the book, was because of the setting. The 1920’s with parties, the difference of the way of showing wealth and richness between East Egg and West Egg. I have seen the movie and the setting and impressions I got from the movie fitted very nice with the book. 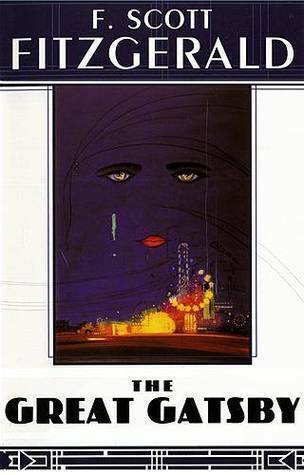 This book was written from the point of view of Nick Carraway. Although it was written through the eyes of one person, I felt like I didn’t miss a lot because of that. I still had the idea that I could see through the other character’s eyes as well. Everything was described really thoroughly and was explained very well. I absolutely believe this is a classic everyone should read. Especially when you look for some classics to begin with. I gave this book 5 stars. Did you read it or want to read it? Let me know what you think! Have fun reading!